Get your logo engraved on Tactical COB Promotional Flashlights. Company gifts, auto - truck, construction or promotional items. 100 Lumens as a bright flashlight - as a lantern 260 Lumens. Built in magnetic base adheres to steel metal as overhead. Colors: Tactical Black with Red Button and accent rings. Overall is 6 11/16 wide x 1 7/8 dia Individually boxed. 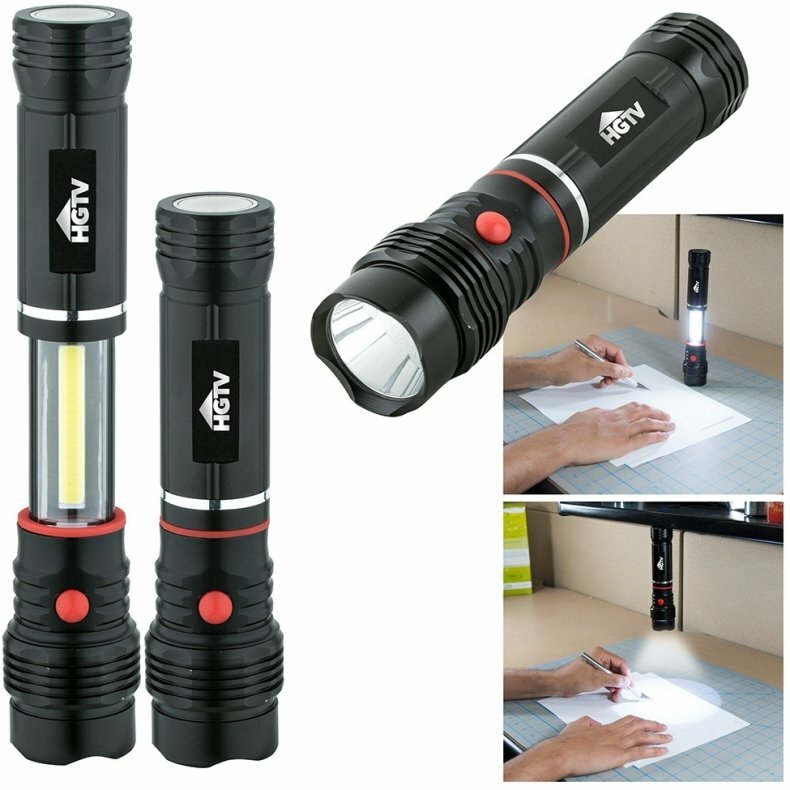 Flashlight does require 4 AAA batteries are included. Sturdy aircraft aluminum & anodized enamel finish. Normal delivery from date of order is 2 - 3 weeks. Price includes a laser engraving on barrel area 1 1/8" w x 3/8" h.
Factory setup charge is $55.00. Printing is not available. I ordered the minimum of this Tactical COB Flashlight. Better than expected quality of the promotional flashlight and our logo is engraved which makes it permanent. I am pleased with the order overall and recommend Promotional Items for promotional products.